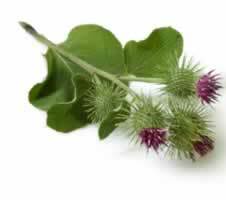 Burdock is taken as a tincture and in extracts. Simmer 1 tablespoon of dried root in 2 cups of water for 20 minutes. Drink up to 4 cups daily. Tea can also be used as a skin and face wash. Apply the cooled tea to the skin with a clean facecloth, and rinse in cool water.